How long do Barn Owls live? A typical lifespan for a wild adult Barn Owl is 4 years although the British longevity record is 15 years. However, most Barn Owls die young. Of those that fledge, approximately 70% die in their first year. Based on over 8,000 BTO ring recoveries, it has been calculated that the average life expectancy of all British Barn Owls above 5 weeks old is just less than 18 months. Mortality in nestlings is often overlooked. With an average hatching success of 4 but a fledging success of only 2.5, it is obvious that there is (roughly) as much mortality in nestlings as there is amongst the fledged population. What do Barn Owls die of? Starvation is thought to be the main cause of mortality. It occurs most often amongst inexperienced young birds during juvenile dispersal or in periods of severe winter weather. In intensively farmed landscapes like this, there is very little food for Barn Owls. In adult birds, the peak in mortality is during the late winter/early spring period when small mammal numbers and winter temperatures are at their lowest. Feeding wild Barn Owls. For nestlings, survival is controlled largely by food supply. This in turn is determined by habitat quality, prey abundance, the weather, and the abilities and behaviour of the individual parents. It can also be affected by the suitability of nesting places because some nests and nestbox designs are much safer than others. 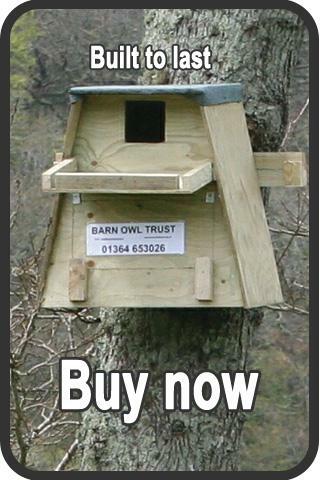 See the poor nestbox design page for more information. Barn Owls often die from avoidable man-made hazards – many are hit by cars, lorries, and trains. Some fly into overhead wires, or drown in cattle troughs, while others die from eating poisoned prey. Often there are simple, practical solutions to these problems. 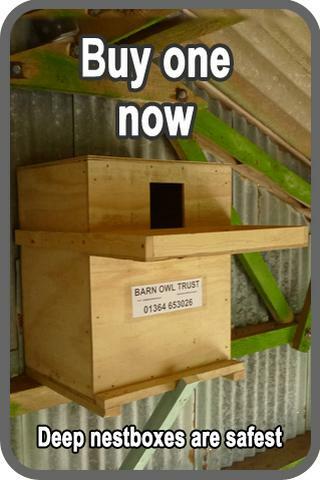 Click the links to find out how Barn Owls can be protected. How do we know what Barn Owls die of? Causes of mortality are based on the recovery of birds that have been BTO ringed. Unfortunately such results are always biased towards birds that die in conspicuous places. For example, a bird lying dead on a road is much more likely to be reported than a bird that’s died in the middle of a field. Birds found are also only a small proportion of the owls that die. Nevertheless, 1 in 7 ringed Barn Owls are recovered and this is a comparatively high rate. Ring recovery data therefore gives a valuable insight into mortality rates and life expectancy. Why is Barn Owl mortality important? Barn Owl mortality and the reasons behind it are important because if we could reduce mortality and increase Barn Owl life expectancy we would be well on the way to securing the future of this wonderful species. Juvenile survival rate has the most influence over total population size. Therefore, reducing the main causes of juvenile mortality should be the most effective way of increasing overall population level. Barn Owls and major roads. The problem with rat poison and how to control rats as safely as possible. Why Barn Owls drown in water troughs and how to make them safe. 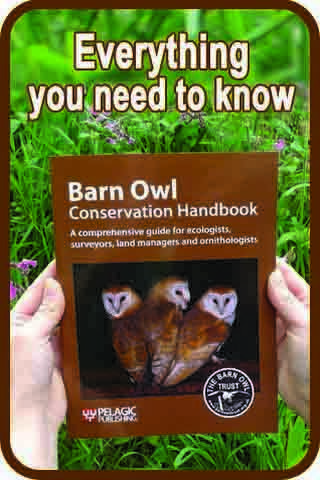 Find out how many Barn Owls there are in the UK and how to encourage them.